Come! Let's talk face to face!!! 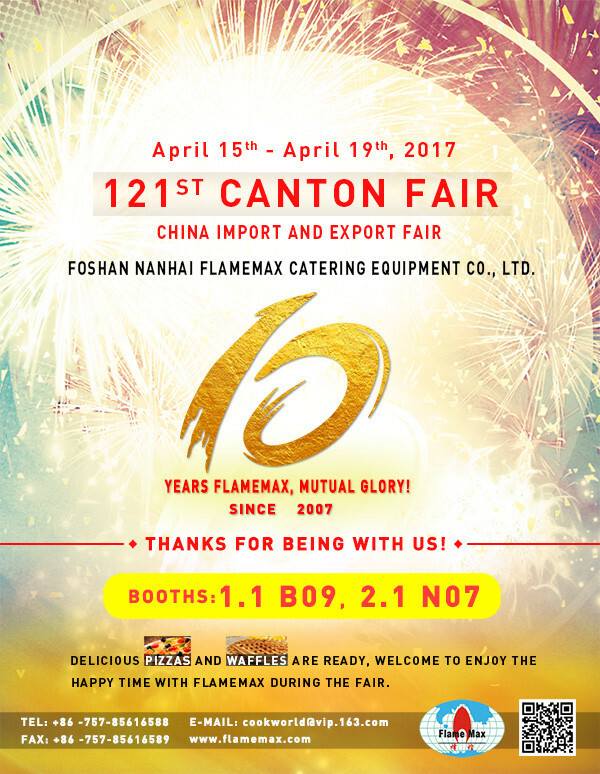 - China Foshan Nanhai Flamemax Catering Equipment Co., Ltd.
Home » News » Exhibition » Come! Let's talk face to face!!! In April, our company will attend the Canton fair in Guangzhou! please come and feel them! Pizza, waffles, machines and our company are waiting for you there! Act up! Get a ticket and fly to China.